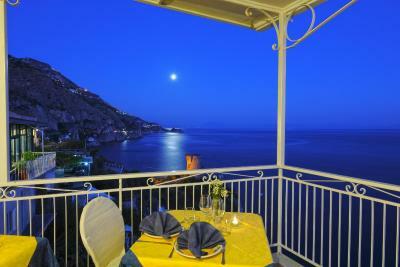 Lock in a great price for Hotel Torre Saracena – rated 8.2 by recent guests! The evening guys were as helpful as they could with a smile. 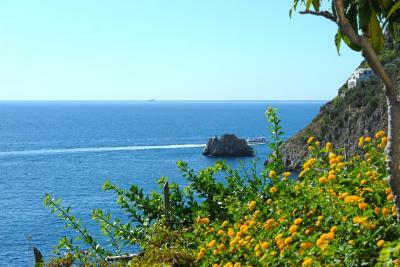 And we liked staying in Praiano, being between Amalfi and Positano. Bus stop is literally out the front door. 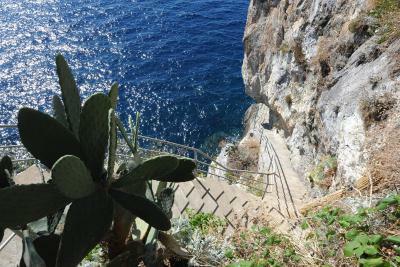 And the water access, even tho it’s 210 steps down, it’s still there. The property was really beautiful and the Manager - Tiffy was very helpful and took great care of us and assisted with everything that we required. A special thanks to him. This hotel was right on the coast which was perfect for the vacation that I was looking for. 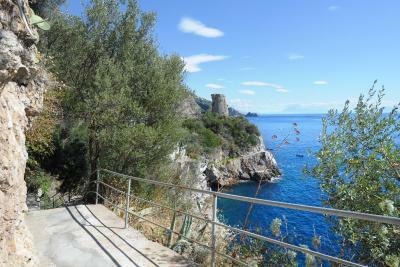 Since it is on the cliff side, there are many steps to get to the "beach" area and your room depending on where it is so if you're not in very good shape it may be difficult. It was great for us, we needed the exercise anyway! 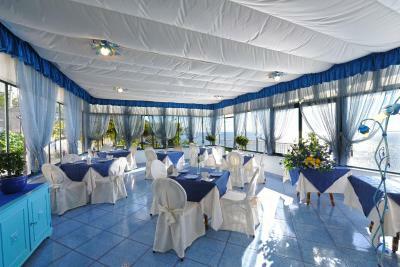 Clean facilities, great breakfast, spectacular views, ideal location, parking available, quiet and unique. The staff was amazing. I highly recommend this hotel for anyone who is looking for somewhere away from all the busy parts of the more touristy towns but close enough to get around. The bus stop was in front of the hotel. Breakfast was excellent. Everything. The view was to die for. The staff were fabulous. The rooms were very clean and big. Loved everything about this place. Can’t wait to stay again. 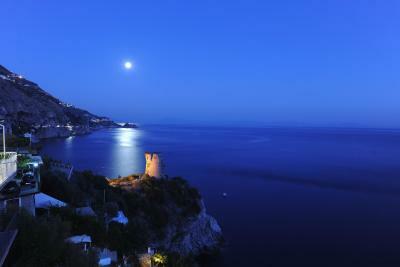 The Amalfi coast is one of the most beautiful places on Earth. I would recommend staying here as long as you can! Great location with parking for reasonable fee. This was important because I used a large van to get there with 5 adults and lots of luggage. The location and views were marvelous. 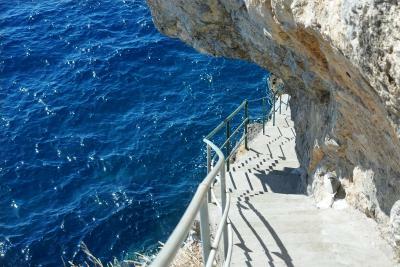 We enjoyed swimming the Tyrinnian sea but the stairway is not for the faint of heart. Remember the Amalfi coast is an enormous cliffside where these incredible people built beautiful little towns and share them so welcoming. Staff were about the most accommodating people I have ever met. 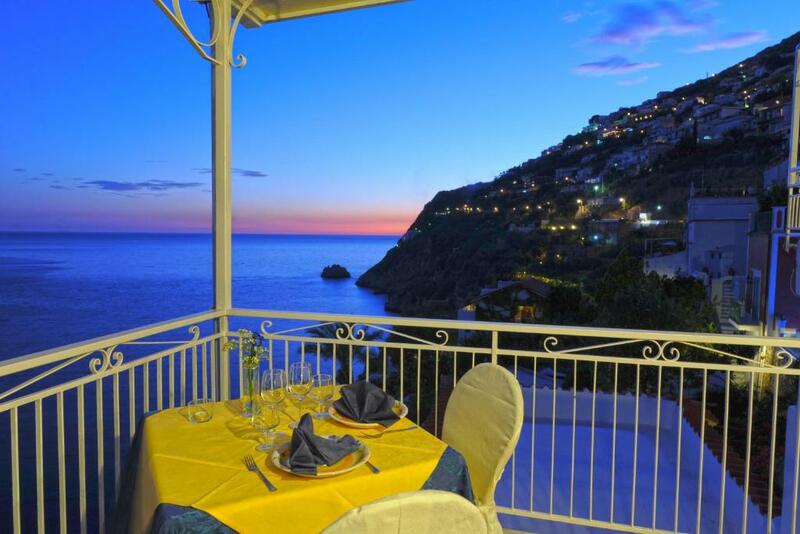 Hotel Torre Saracena This rating is a reflection of how the property compares to the industry standard when it comes to price, facilities and services available. It's based on a self-evaluation by the property. Use this rating to help choose your stay! 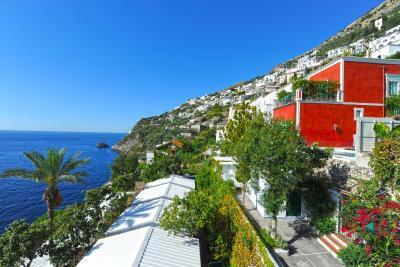 One of our top picks in Praiano.Perched on the Amalfi Coast, the Torre Saracena offers accommodations in independent villas built on the rock. 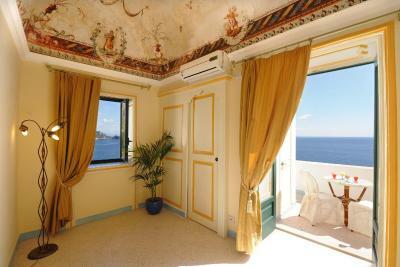 Some rooms have a sea-view balcony, and access to the sun terrace with hot tub facing the sea. 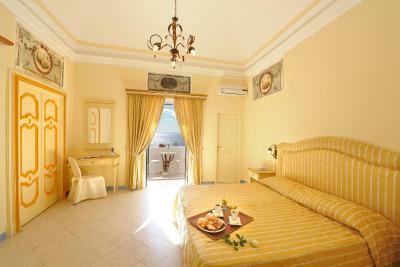 The rooms of Hotel Torre Saracena are individually furnished, and features tiled floors, and a private bathroom. 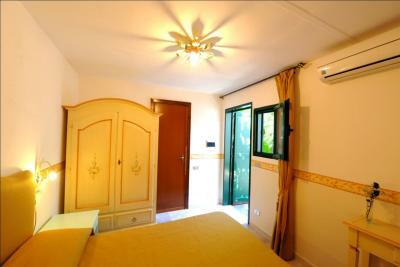 Each room is equipped with free Wi-Fi and air conditioning. 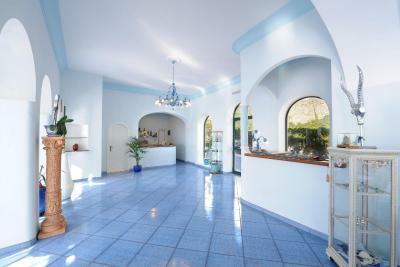 Some offer high frescoed ceilings. 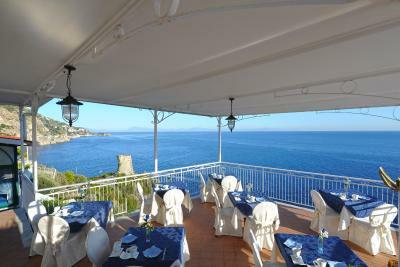 The restaurant with panoramic dining room serves specialties of Campania for lunch and dinner. Breakfast is a generous buffet that includes hot and cold food, sweet and savory. 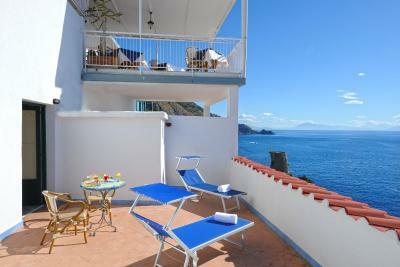 The sun terrace is complete with free sun beds and parasols, and bar service. 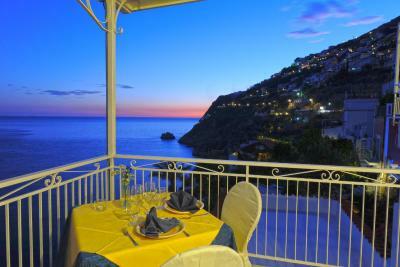 The amazing views include Capri Island, Positano, and Amalfi. 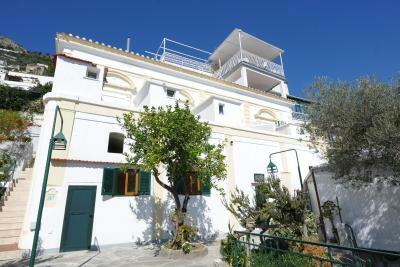 The hotel is located in Praiano, a 5-minute walk from the center. 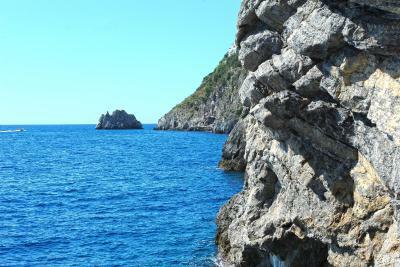 Staff can arrange a boat excursion or hiking trips in the nearby mountains. 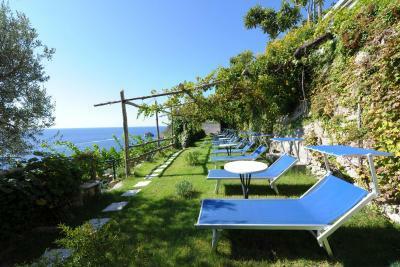 When would you like to stay at Hotel Torre Saracena? 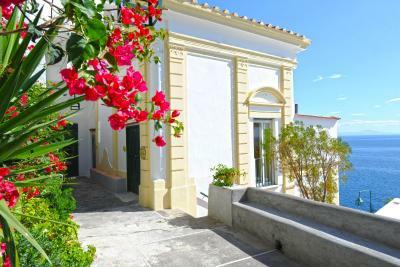 In an independent bungalow, this air-conditioned room has a terrace with views of the Tyrrhenian Sea. 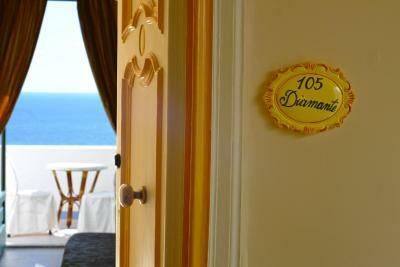 It comes equipped with a minibar, TV and private bathroom. 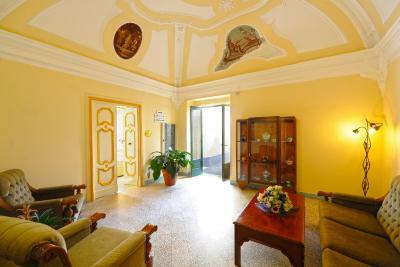 Featuring frescoed ceilings and a balcony facing the Tyrrhenian Sea, this air-conditioned room is in the historic part of the hotel. 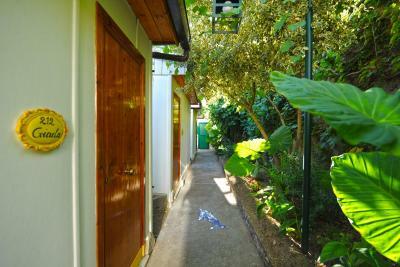 It has free Wi-Fi, a TV and a fully equipped private bathroom. 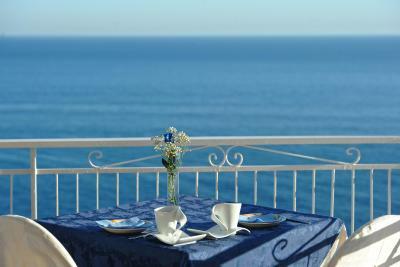 House Rules Hotel Torre Saracena takes special requests – add in the next step! 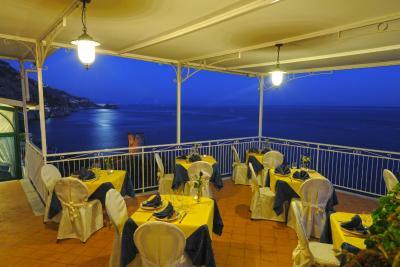 Hotel Torre Saracena accepts these cards and reserves the right to temporarily hold an amount prior to arrival. Please note the hot tub is open from 01 June to 30 September. The room. The refrigerator was broken. The telephone to reach the front desk was never repaired. We asked for an additional bed. We were given a cot with a 1-inch pad. Needless to say I woke up the next morning and I could barely move. The cot was replaced in the next morning with a more comfortable bed. Breakfast. Mediocre. Frequently running out of milk and juice and eggs Etc. A lot of pastries and cold cereal. Nothing special. It would have been nice to have had iced water with lemons at the front desk. 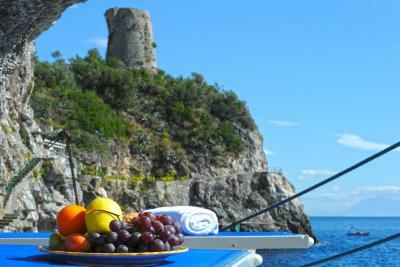 It is very dry on the Amalfi Coast and you are constantly thirsty. The outside grounds are unkept. All the sidewalks and stairs need to be swept. The hot tub was cold and filthy. I let them know about the hot tub and they did drain it and refill it but they never turn the power on so it was freezing. Finally, the staff was very attentive and the bus station is right out the door. The staff was amazing, also the swimming place! Great views. great atmosphere created by the hosts. Lovely place to visit. Property seemed like management had lost interest in the care of the hotel after the summer period. Hotel was nothing like advertised in the photos. The sea/ocean areas were out of bounds and unavailable. EVERYTHING SORRY , THE LOVE HAS GONE. The hospitality we were shown at this hotel was the highlight of our entire holiday. The welcome we received from Paula was something special and Danilo was a very helpful and friendly guy. Our room was beautiful. We loved this hotel. Thanks for a very Nice and your excellenta hospitality!